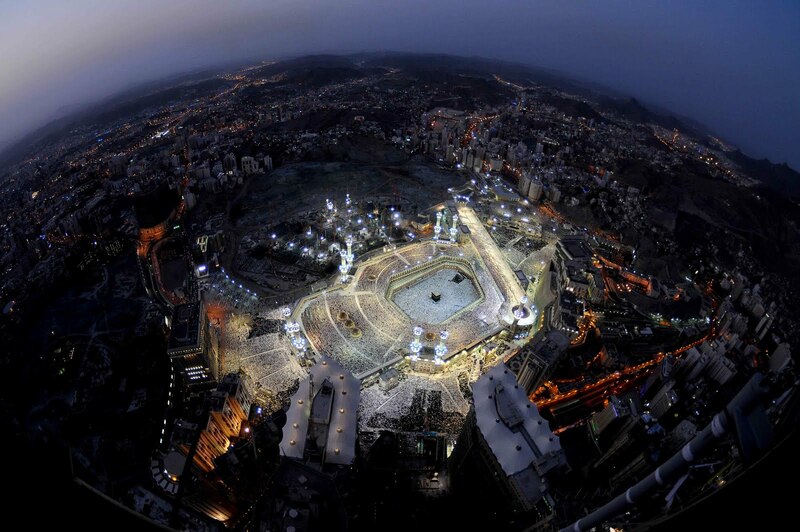 This is very beautiful Image of Khan-e-Kabah also pronounced as "Kaaba". Surrounded by "Masjid al-Haram" The Largest Mosque in the World. The current structure covers an area of 356,800 square metres (88.2 acres) including the outdoor and indoor praying spaces and can accommodate up to four million Muslims during the Hajj period, one of the largest annual gatherings of people in the world.